Are Any Crystals Incompatible When Displayed Together? There are so many beautiful crystals and minerals. Are there any of them that are incompatible with each other when being displayed or grouped together? There are some folks who believe that certain crystals cancel each other out or will lessen the energy of each other. I do not believe that and it has never been my experience. My advice is to always follow your instincts. When you put the crystals together if it feels good then it is good. If it feels wrong...then try placing them in a different way. Crystals come from the same source and I believe that they are meant to work together. Even crystals with very different properties can be used together and create very positive healing energy that will be unique and beneficial. Use your crystals however feels best to you and you can never go wrong. 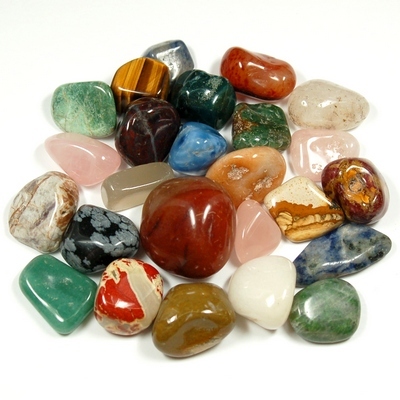 As always, thank you for your question and for your support of Healing Crystals.com. I hope that I have been able to help and that you will not hesitate to contact me with any other questions. Wishing you lots of Love and Light and a Happy New Year.